Al Mucci, General Manager Life Sciences and Dreamworld Corroboree, Director Dreamworld Wildlife Foundation. 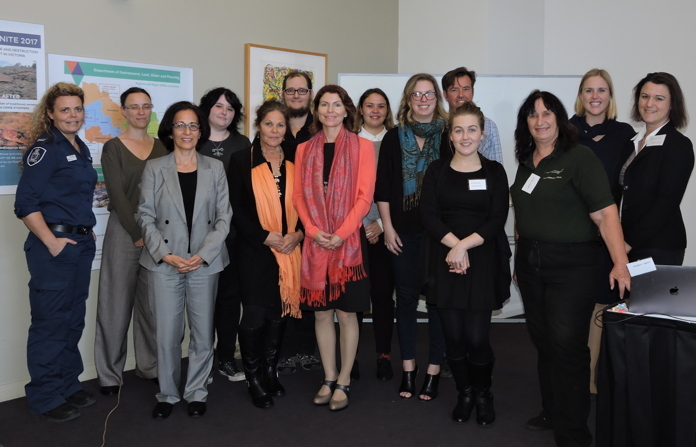 Many thanks to our sponsors Dreamworld Wildlife Foundation, Ionicon, Bio-Rad and Adina Apartment Hotels, and to all our delegates for valuable presentations and discussions. Tackling the multi-million dollar illegal wildlife trade, from the source (poaching in the wild) through transport (especially through international airports and shipping ports) to the end buyers and the syndicates that profit from it is a complex but very urgent problem, involving some very ruthless people, many naive purchases, and increasingly-endangered species. This very interactive one-day workshop was conducted to discuss problems and possibilities. This workshop initially came about from the question of why there are few sniffer dogs checking for wildlife trafficking at airports, especially in luggage and clothing “leaving the country of origin”, plus the issue of determining whether wildlife and their parts have come from the legal sources claimed by souvenir or medicine sellers and buyers, or from a trafficked animal. Seeking information about those who control crime syndicates and high-level corruption is even more challenging. The workshop was well-received, and attended by delegates from a wide range of backgrounds, including universities, tourism operators Department of Land, Water and Planning, Department of Environment and Energy (including the Wildlife Trade Regulation Section), Taronga Zoo, Dreamworld, sniffer dog trainers and others. We were disappointed that, despite interest being expressed, no one attended from airlines or shipping ports. We were pleased that most delegates willingly exchanged many ideas and information, resulting in this report. Illegal wildlife trafficking is seriously threatening fauna species around the world, whether poaching elephants, rhinos and tigers for their tusks, horns and other body parts, or lesser-known species such as pangolins for their scales and meat. We know from sources such as “Killing for Profit” by J. Rademeyer that there are some very powerful syndicates behind some of this trade in addition to individuals who might occasionally try their luck. Australia is involved in two ways: illegal products being smuggled in, and indigenous ones smuggled out. Australian cockatoos and other parrots, pythons, and lizards can fetch high prices overseas, which has tempted (and presumably often rewarded) black-marketers for many years. According to John Scanlon of CITES, most smuggling of Australia animals is for the pet trade, but it still involves big money. In recent months two Australians have made headlines when arrested for wildlife trafficking. Taxidermy hobbyist Keerthi Eswaran was arrested after wildlife officers found about 1,300 animal parts at his Howard Springs home, but was given a suspended sentence (source: ABC news, March 2017). Police raided the home of NRL player Martin Kennedy, where they found snakes and a large amount of cash, and it has alleged that he is involved in a lucrative international smuggling ring (source: Channel 7 news, March 2017). How many others continue to escape detection? The problem is multi-faceted, including the actual collection of animals or their parts, the movement out of the source country and into the countries where they are purchased, determination of the source of such animals or parts once they are detected by authorities, education of general buyers and (possibly the most difficult and dangerous) locating and prosecuting leaders of international trafficking rings. It thus needs a multi-faceted approach to finding solutions, which this workshop was convened to discuss. We will continue discussions at WTA’s conference next year as well as correspondence beforehand with others concerned with this issue. Chemical and elemental profiling of wildlife. Simin Maleknia, School of BEES, UNSW. Developing a low cost and accurate DNA field-test kit to identify endangered species Natalie T Schmitt, Department of Biochemistry and Biomedical Sciences, McMaster University. Lend your eyes to the wild: a campaign to disrupt illegal wildlife crime. Belinda Fairbrother, Wildlife Witness program, Taronga Zoological Gardens. Illegal Trafficking in Australia – a Zoological Industry Perspective. Wildlife trafficking is the world’s largest trade after drugs, people and arms (estimated at $19 billion US / year). The major (but not the only) catalyst is China’s appetite for endangered wildlife for its 2,000-year practice of traditional medicine along with meat and caged exotic pets. The more iconic and endangered the animal is, the more claims for its healing properties, as well as novelty value in restaurants and the pet trade. Not all Chinese of course support the trade: conservationists within the country oppose it, the government is attempting to halt the ivory trade and a WildAid poster “Join the Herd” has appeared in airports. Many other countries also indulge in trafficking for the pet trade, souvenirs, traditional medicine and bush meat, and there is evidence for the trade supporting various criminal gangs and rebel militia. Pangolins are the most trafficked animals (about a million have been taken from the wild in the past ten years), mostly for their scales but also for meat. Thirty thousand elephants are killed every year for ivory: they are sentient beings, and their orphans are left to grieve. Three rhinos are killed on average every day. Only 3,200 tigers are estimated to now be left in the wild. Some poachers are caught, but seizure of illegal goods probably only represents about ten per cent of the trafficking, and about a thousand rangers fighting against poaching have been killed in the past decade (Dreamworld Wildlife Fund solicits donations to support rangers’ families after their deaths, as well as doing more to fund tiger conservation than any other institution in the world). Animals leaving the country (mostly parrots, cockatoos, snakes and lizards) are primarily destined for an illegal pet trade, which is a multi-billion dollar industry. A single black cockatoo can fetch $30 000. Some birds and reptiles have fetched up to $100,000 each. Animals are mostly tracked through the post, strapped to couriers’ body or hidden in luggage. As at 1 August 2015, Australian enforcement authorities had issued 858 seizure and caution notices in 2014–15 for suspected breaches of Part 13A of the EPBC Act for the import and/or possession of regulated specimens, including specimens listed under CITES. Of these 858 seizures, 369 resulted in 9,566 specimens being seized. Illegal exports of fauna and flora detected by Australian Customs from 2004-2008 included birds, shingleback and other lizards, eggs of cockatoos and parrots, 1200 tiger beetles, other beetles and endangered fungi en route to Asia, Europe, South Africa and USA. Some heavy fines and prison sentences were imposed, but this may still be insufficient deterrent when possible rewards are so high. Australian legislation is good, but its enforcement can be lacking. A Darwin resident was recently found with 1,300 specimens in his house worth about $500,000 on the black market but was given a suspended sentence. When Australia was the Oceania regional representative on the Standing Committee of CITES (Convention on International Trade in Endangered Species of Wild Fauna and Flora), which manages permits for legal trade in endangered species, it progressed the regional implementation of listing shark and ray species on Appendix 2 and provided practical assistance to the Solomon Islands on implementing CITES (New Zealand is the current representative). Australian zoos and aquariums use stud book management to ensure all 200 acquisitions were from captive breeding programs. A survey by WildAid of approximately 1000 people from each of USA, Canada, UK, several European countries and Australia found that approximately 80% favoured the banning of ivory sales, although the percentages from Canada and USA were only 74% and 67% respectively (it was suggested the shooting lobby may influence attitudes to the ivory trade). What can we do? Approaching the poachers is dangerous, but we can report suspicious behaviour, support law enforcement and NGO’s fighting against the trade, continue public awareness, enhance relationships with law enforcers and other officials, think about what we’re buying, and support research on trade routes, impacts on wild populations and bogus breeding claims. CAWT (Coalition Against Wildlife Trafficking) was formed to galvanise international action against wildlife trafficking, and has been an important part of Australia’s fight against the illegal wildlife trade. Now that more organisations exist, it has closed its doors. A relatively new organisation “United for Wildlife” convened by The Duke of Cambridge is working to bring together key conservation organisations to combat global poaching. It is committed to increasing attention to pressing conservation issues, from the rapid escalation of illegal wildlife trade to the challenges of demand reduction. Dreamworld Wildlife Foundation funds elements of the project through the 21st Century Tiger group. DWF has funded projects in Indonesia led by Debby Marta, who has been given Order of the Queen and now has four anti-poaching teams supporting her. They search for tiger scats and traps for tigers in Kerinci national park, the largest national park protected area in Sumatra, and have found illegal snares, bulldozers and recent logging by machines. Investigations uncovered some of the ring leaders of the illegal trade, and DWF sent letters to the Jakarta government to ensure they don’t pay their way out, so the community can see that poaching doesn’t pay. Forensic testing is important to be able to determine where animals or their parts have come from, and to identify species from confiscated samples. Genbank in the USA is keeping track of DNA extracted from animal or product throughout the world and samples can be compared with known species. The Australian Centre for Wildlife Genomics at the Australia Museum is conducting a lot of forensic work on wildlife species, including DNA sampling. Q. Natalie asked: If China is a member of CITES, why is the herbal medicine often using trafficked animals? Working with QUOLLity Wildlife Detection Dogs in Australia: The benefits, limitations and what it really takes to be successful?! National and international scientists now recognise that the use of wildlife detection dog (WDD) methodology should be used to advance current survey methodology in Australia, if threatened and elusive species are to be protected. This presentation used the northern quoll Dasyurus hallucatus as a case study example. Scientific analysis by Amanda in collaboration with both the Australian Wildlife Conservancy and the University of Qld have highlighted superior accuracy and speed of WDD compared to standard fauna survey methodologies, but it took the government a long time to recognize it as a solid methodology. Scientists have concluded the efficacy of WDD both as a stand-alone method and as an adjunct to accelerate accuracy and cost efficiency of standard survey methods. For instance, ecologists had concluded the northern quoll was locally extinct in Carnarvon National Park, but in just one day, a sniffer dog detected the presence of quolls, after the failure of a decade of other searches. Experiments with samples of quoll and non-quoll odours in bags resulted in 100% accuracy of detection by dogs and within a very short time (less than ten minutes). Sara Legge’s research in 2014 concluded that the dogs were more effective than cage trapping and at least as good as, if not better than, camera trapping. There are some critical pre-requisites, and Amanda explained some benefits and limitations of using dogs, and what it really takes to have a successful QUOLLity Wildlife detection dog team to ensure ethical, effective and scientifically robust methods. The dog must have a suitable temperament, and a considerable amount of training is needed, to ensure the dog will seek the target scent and not be side tracked, and not cause any damage to the ecosystem when searching off-lead. Standard rewards are tummy rubs and playing with a tennis ball, and dogs that are obsessive about ball play are especially useful for such training. As an example of how dogs can be used to detect wildlife or their parts being smuggled, we were shown a video of a quoll toy soaked in real quoll scent, inside a briefcase inside a closed station wagon that smelt of hay, horses and cigarette smoke. Within minutes the dog had detected a quoll smell coming from inside the car, ‘asked’ (with obvious gestures) for the door to be opened, and found the suitcase. At a number of sites in the Kimberley, dogs accurately detected live quolls and droppings far quicker than trapping. Dogs were also trained to detect particular collared quolls. There is much potential here. Rangers could be accompanied by trained dogs to alert them to people trying to take wildlife from parks. The use of sniffer dogs to check for drugs in airports could be greatly expanded to include wildlife detection dogs checking for illegal movement of wildlife both within the country and at international airports. Dogs are already being used effectively in pest management (e.g. red slider turtles) and wildlife monitoring (e.g. koalas, bristlebirds). Detection dog methodology has been implemented successfully overseas in wildlife and animal forensic cases and wildlife trafficking. Citizen science is becoming a valuable resource in conservation efforts. In situations where the importance of the environment is unrecognised by decision-makers or funding and resources are poor, a combination of citizen science and WDD Methodology could fill the gap and help save some of our most vulnerable and elusive native species. With the growth in poaching, this need becomes more urgent for those working on the front lines of conservation,. Q.How much does it cost to train a dog for this work? A. It depends. Amanda does packages for $5000, but she invested $100, 000 in her dog. Wildlife detection dogs are generally $30, 000 to $40, 000, so training people to train their own dogs (if suitable) is more effective. Chemical and elemental profiling of wildlife. Simin Maleknia, School of BEES, UNSW Sydney. The illicit trade in wildlife greatly impacts endangered species, ecosystems stability and biodiversity conservation. One of the major trafficking enforcement issues is the lack of rapid analytical methods to distinguish geographical origins or to identify wildlife in transport. Simin is an environmental scientist with a keen interest in wildlife conservation, and her pioneering research in Australia involves developing elemental and chemical fingerprints as non-invasive forensic tools in relation to wildlife trafficking. The problem lies in the substantial financial benefits accruing to individual traffickers and commercial entities. The solution is multi-faceted, including advancing national policies and regulation and developing and adopting available methodologies, such as dog detection and chemical profiling, to establish where an animal has lived and presumably been collected from. The aim is to develop non-invasive methods (i.e. chemical and elemental profiling) to combat the illegal wildlife trade. Chemical Profiling identifies volatiles responsible for the distinguished odour of wildlife that dog detects. The identification of odour compounds at very low levels is easily possible by the current analytical instruments. The aim is to analyze a range of wildlife for their odour in order to select a set of odour identifier compounds that can be utilized in chemical sensor devices. This will enable the use of chemical sensors at the airports or by the park rangers, similar to the dog detection protocols. Another approach is to apply elemental profiling to identify the geographical origin of the wildlife. A review paper by Keith A Hobson in 1999 revealed the use of stable isotope analyses (13C, 15N, 18O, 2H, 34S, 87Sr) to trace the nutritional origin and migration in animals, which is on the basis that animals moving between distinct food chains store information of feeding locations for periods that depend on the elemental turnover rates for the tissue of interest. Keratinous tissues remain metabolically inert following synthesis, and thus maintain an isotopic record, which could reflect the location where the tissues were generated. Elemental profiling is currently being used in the ivory market, and the researchers from the WWF Germany have validated a method to identify the geographic origin of ivory by profiling stable isotopes. The database for ivory is publically available with a dedicated website www.ivoryID.org that enables users to share data. Development of similar databases will help combatting the illegal trade in other wildlife areas. Natalie T Schmitt, Department of Biochemistry and Biomedical Sciences, McMaster University. Surging consumer demand for animal and animal parts means trafficking is putting tigers, lions, penguins and other species at risk of extinction. The number of rhinos poached annually has increased by 9000%. The risk of being caught has lowered, and it is hard to distinguish between legal and illegal possession. Frontline customs officers need a low cost portable method such as DNA detection to determine the origins of animals and parts of animals. Natalie is a conservation genetic scientist, science presenter and documentary film maker with a strong passion for exploring new genetic techniques to assist in the monitoring of rare and elusive species, as well as developing holistic and community-driven solutions to conservation. She has been developing a DNA field test kit, A typical procedure involves a day in the laboratory for DNA extraction, half a day to run a PCR using universal primers, a sequencing process which can take several days, up to a week for profiling, then comparison to an online database. Snow leopards are critically endangered. Censuses are difficult in snowy mountainous country, and rely largely on camera traps and scats, but it can be difficult to distinguish between their scats and that of other cats. Natalie has been developing a paper-based biosensor that is light, accurate, specific and sensitive to DNA, which can be used to accurately determine the species from scats. The paper-based method requires little training, and the isothermal reaction (room temperature to 37 degrees) makes it easier to run in remote areas, so portable hand kits can be given to local villagers to aid with the identification and an accurate estimation of snow leopard abundance. Detecting and preventing wildlife trafficking in Malaysian airports. Mano spoke of his role in developing an animal housing facility at an airport in Malaysia which drastically reduced the mortality of animals in transit, but expressed his concerns at attempts to transport illegally obtained wildlife and bribe officials, and made a plea for constant vigilance in such plavces. The world is dealing with an unprecedented spike in illegal wildlife trade; it is the greatest direct threat to the future of many iconic species. Taronga has partnered with TRAFFIC, the wildlife trade monitoring network, to create Wildlife Witness, the first global community action tool in the fight against illegal wildlife trade. Zoos are in a unique position to address illegal wildlife trade and can impact by raising awareness of the issue, facilitating action through the Wildlife Witness app and mobilising a global community of concerned individuals who are inspired to act for the wild. Whilst the focus to date has been on reporting trade in South East Asia to ensure proof of concept, we are hoping to extend the platform to become a global crime disruption network. Here we will outline our vision to build a global community to become the eyes and the ears for wildlife crime, working with the global zoo and aquarium community. Abby Smith, Department of Land, Water and Planning, Vic. “Hippy vans” have been known to travel around the Australian outback for a couple of weeks, return to the city and sell illegally collected wildlife within 48 hours. How can we best detect and apprehend these? We need more rangers patrolling our national parks (and other wilderness areas?) !!! Instead, ranger jobs are being decreased in many regions. Detection dogs could accompany rangers on their rounds to detect if people leaving the park have backpacks or clothing concealing fauna and flora. Rangers need more powers for reporting suspicious activities and apprehending suspects. Ronda was been told several years ago by rangers in Queensland that they could not act on anything they haven’t personally witnessed, even if presented with photographic evidence of illegal acts plus registration numbers of vehicles, and that they could not accuse anyone of smuggling if found with native animals outside of but close to national parks if they claim they have brought the animal with them from a legitimate source elsewhere (however doubtful it may sound). Is this still the case in Queensland, and is it similar in other states and territories? Wildlife tour operators are often in an excellent position to keep a watch for suspicious activities. Frequent visits by wildlife tourists to some regions can in itself be a deterrent to would-be poachers. The public can be trained through social media, rangers and tour operators telling visitors what kinds of suspicious activities to look for, and also told about the extent of trafficking in Australia so they realise the importance of watching for it. Motels, roadhouses, citizen science groups, nat history societies, grey nomad gatherings and 4WD shows can all assist in this kind of pubic/.tourist education. Wildlife tour operators should resist showing people animals that are demand on the black market, and which are in locations where it would be easy for tourists or their associates to return to and collect. Tourists and tour operators alike should also resist giving exact locations of photos on social media. The app Wildlife Witness could be more extensively publicised and used. We need to find out how to channel information from this app, which could report automatically to Zoos National Parks etc. Some buyers of products will never care, but others may be unaware of the dangers of extinction of the species they are purchasing, the cruelty involved in much of the trafficking activities, or the uselessness of some of the products touted as medicine. Although no amount of education will affect the more callous individuals, many others may be willing to refuse to buy wildlife products and wild pets. On the Australian web page https://www.border.gov.au/Trav/Ente/Brin/Can-I-bring-it-back/Can-I-Bring-It-Back-Top-20 wildlife and their parts are not mentioned, but prob ably should be. Educational materials should not be ‘hidden away’ in websites and brochure displays that only those already interested in the issue will find, but be attention-grabbing, in places most travellers will see them, and sufficiently interesting to encourage the reader to want to find out more. Some politicians love to have a story to tell, and this can help to increase public awareness, so we should forward appropriate stories to them. Al Mucci has been in the zoological industry for over 19 years and has held the position of General Manager of Life Sciences at Dreamworld for the past 11 years. Al has broad based experience with a wide variety of animals which has included senior positions in non-government organisations, private and public institutions. Al is a Director of the Dreamworld Wildlife Foundation (DWF), Save the Bilby Fund Inc., 21st Century Tiger/Zoological Society of London. Under Al’s leadership, DWF is the world’s largest contributor to tiger conservation. Al is an invited member of the Biosecurity Queensland Ministerial Advisory Council and has been the President of the Zoo and Aquarium Association (ZAA), Queensland Branch (ZAAQ). 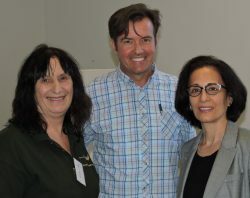 He has set up numerous initiatives in the preservation of Australian wildlife including driving force behind National Threatened Species Day activities across Australia including Brisbane CBD, lead in conservation initiatives of the koala locally in South East Queensland which included invited presenter for the Federal Koala Senate Enquiry. Al has been co-author to numerous conservation scientific papers due to his leadership in this area. Al has been Chairman of D.G. Stead Foundation dedicated to the preservation of native Australian flora. During this time he led breeding programs with native flora such as Wirrimbirra White Waratah which was propagated for Gold Medal winners during the Sydney Olympic Games. He has been working with the Aboriginal and Torres Strait Islander community locally and across Australia for the past 11 years. Under the leadership of Al, Dreamworld was the first leisure based attraction in Australia to launch a Reconciliation Action Plan. He dreamt up the Corroboree project and was successful in obtaining a grant from the Federal Government to integrate a current wildlife attraction into an authentic and credible Indigenous experience with wildlife. 53 individuals from 22 language groups were part of Dreamworld Corroboree. Dreamworld Corroboree won the Queensland Premier’s Reconciliation Award, 2014, QLD Northern Territory Cinematography Award for the Creation Story of the Gold Coast, National 2015 Cinematography Award for the Creation Story of the Gold Coast, World Media Festival Hamburg 2015, Gold – Tourism, Entertainment/Edutainment for the Creation Story of the Gold Coast, World Media Festival Hamburg 2015, Special Award – Best original music for the Creation Story of the Gold Coast. Due to Al’s strong links with community and country (the people) he has been supported by local Yugambeh language group people of the Gold Coast to assist with Indigenous engagement for the GC2018 Commonwealth Games. This is a part time basis role supported by Dreamworld. National and International Scientists now recognise the use of wildlife detection dog (WDD) methodology should be used as an advancement to current survey methodology in Australia, if threatened and elusive species, such as the northern quoll, are to be protected.This presentation will use the northern quoll Dasyurus hallucatus as a case study example. Scientific analysis by Amanda Hancock in collaboration with both Australian Wildlife Conservancy and The University of Qld, highlighted superior accuracy and speed of WDD compared to standard fauna survey methodologies. Scientists concluded efficacy of WDD as a stand-alone method or to help accelerate accuracy and cost efficiency of standard survey methods.Critically there are pre-requisites: Amanda will explain the benefits, limitations and what it really takes to have a successful QUOLLity Wildlife detection dog team that will ensure ethical, effective and scientifically robust methods.Discussion of the potential application of WDD for species recovery programs, pest management, wildlife health (reproductive and disease) and wildlife forensics with examples applied overseas in both captive and free-ranging populations.Detection dog methodology has been implemented successfully overseas in wildlife and animal forensic cases and wildlife trafficking. Examples will be provided with discussion on the potential development of WDD specific to wildlife trafficking management in Australia.Citizen Science is becoming a precious resource in conservation efforts, where the importance of the environment has diminished and funding and resources are poor. How the combination of Citizen Science and WDD Methodology could fill the gap and may also be the hope of saving our species.There is an urgent need to advance wildlife detection methods in Australia if we are to save our most vulnerable and elusive native species. And with the growth in poaching of wildlife, this need becomes more urgent for those working on the front lines of conservation, with concern it will not be long before ‘every man and his dog’ is using WDD to easily locate these species and further fuel wildlife trafficking. Amanda Hancock has over 17 years’ experience in wildlife ecology/biology, logistics and delivery of remote area ecological field surveys. Her roles have included Resource Ranger with Queensland Parks and Wildlife/NPRSR, Field Officer with Natural Resources & Water, Ecologist with Boobook Consultancy and self-employed as Director of Ecological Services & Wildlife Detection Dog Specialist with ‘QUOLLity Wildlife Detection Dogs & Saddler Springs Education Centre Pty Ltd’. Amanda has spent the last 7 years as an Independent wildlife researcher and consultant focused on the training, handling and scientific accuracy testing of wildlife detection dogs for endangered species recovery and pest animal programs in Australia. A key focus of her research and field work has been on the detection of both northern and spotted-tailed quolls with the significant re-discovery of the Northern quoll in Carnarvon National Park in 2015 using WDDs. Amanda’s success in WDD methodology is based on robust scientifically validated methods and ethical standards, experience in dog obedience training, working dog principles, dog odour detection training and odour science principles, ecological field survey including complimentary survey methods, knowledge of an extensive range of native species & pest species ecology, biology and habitat requirements and a strong understanding and passion for animal behaviour (both canine & wildlife). This unique blend of expertise & scientific rigour is the defining difference between Amanda Hancock and other WDD handlers in Australia. Amanda’s clients include NPRSR, Environs Kimberley, Australian Wildlife Conservancy, Bush Heritage, Department of Defence, Fitzroy Catchment/The Nail-Tail Wallaby Recovery Program, Quollseekers, Logan City Council, Wildlife Preservation Society of Qld, RPS Group, RATCH Australia, BAAM, Community Catchment groups, Indigenous Ranger groups, and private landholders. Amanda has also volunteered her expertise with wildlife causes and co-supervised postgraduate students at UQ Gatton on the WDD methodology. Her work with her K9 comrades – quoll detection dogs Kuna and Sparky has featured on ABC Radio National, ABC Radio Kimberley, Courier Mail and ABC Landline. Chemical and elemental profiling of wildlife. Simin Maleknia, School of Biological, Earth & Environmental Sciences, UNSW, Sydney. The illicit trade in wildlife greatly impacts endangered species, ecosystems stability and biodiversity conservation. The international trade in endangered species has been growing and is amongst the 4th largest transnational crimes according to the 2013 report of the International Fund for Animal Welfare (IFAW). One of the major trafficking enforcement issues is the lack of rapid analytical methods to distinguish geographical origins or to identify wildlife in transport. Simin is an Environmental Scientist with a keen interest in wildlife conservation and will present on her pioneering research in Australia, developing elemental and chemical fingerprints as non-invasive forensic tools in relation to wildlife trafficking. Developing a low cost and accurate DNA field-test kit to identify endangered species. Natalie T Schmitt, Department of Biochemistry and Biomedical Sciences, McMaster University. I’m a conservation genetic scientist, science presenter and documentary film maker with a strong passion for exploring new genetic techniques to assist in the monitoring of rare and elusive species, as well as developing holistic and community-driven solutions to conservation. Through my PhD with the Australian Antarctic Division and involvement in projects on endangered species, I have conducted international collaborative research which has improved our understanding of population structure, animal movement and behavior; providing scientific advice to inform Australia’s policy position at the International Whaling Commission (IWC) and assisting in the conservation of Australia’s endangered marsupials. As an international science presenter and documentary film maker with Discovery Channel and Storyteller Productions, I have worked in developing countries and have seen the close relationship between poverty and unsustainable practices which have greatly impacted species biodiversity. By empowering people in the right way and providing them with the tools to monitor and protect endangered species we can achieve amazing things in conservation.